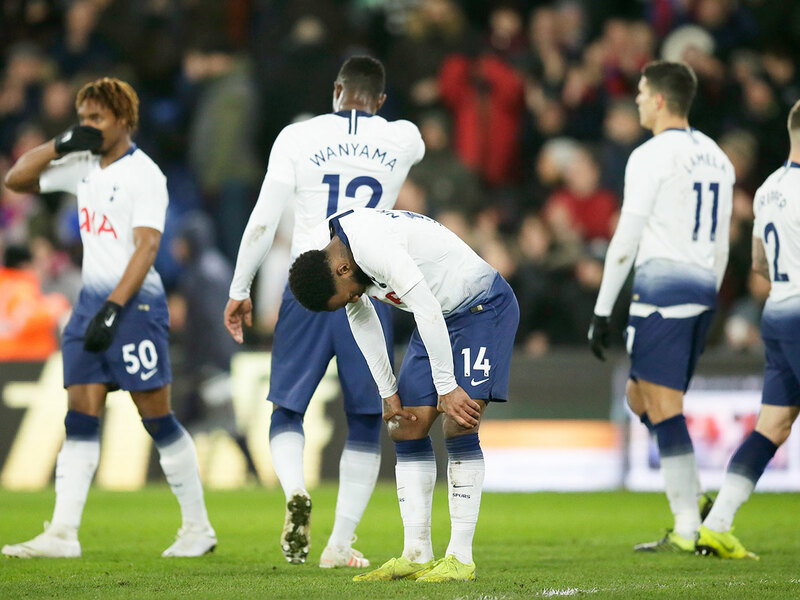 London: Tottenham Hotspur manager Mauricio Pochettino has always made it clear his priorities are the Premier League and Champions League so the 2-0 loss suffered by a second-string side in Sunday’s FA Cup fourth-round trip to Crystal Palace was no surprise. Spurs still hope to move into their new billion-pound stadium this term but clearly do not want to be playing there next season without a place among Europe’s elite to entice the fans to fill the 62,00 seater venue. They are nine points adrift of league leaders Liverpool ahead of Wednesday’s home game with Watford but, perhaps more importantly, have a seven-point gap over fifth-placed Arsenal in the race for Champions League places. They also face a stern test next month against Bundesliga leaders Borussia Dortmund in the last 16 of the Champions League and will have to cope without injured England pair Harry Kane and Dele Alli until March. Much has been made of Spurs’ failure to win a trophy since the 2008 League Cup, but Pochettino said it would be a mistake to focus solely on the pursuit of silverware. “People wish we could win some trophies. But being realistic, we are doing so well,” said Pochettino. “To win a title here in England like the FA Cup or Carabao (League) Cup is about being lucky, not only about quality in your squad. “We are going to create a debate that to win a trophy is going to help the club. I don’t agree with that. That only builds your ego,” added the 46-year-old Argentine, who has yet to win a trophy with Spurs or indeed in his managerial career. With injuries and fatigue taking their toll, it was an unfamiliar starting 11 that took the field at Palace on Sunday. Pochettino made seven changes following his side’s League Cup semi-final shoot-out defeat at Chelsea on Thursday, with both playmaker Christian Eriksen and defensive stalwart Toby Alderweireld given a rest. Spurs should also be able to call upon Son Heung-min for the midweek league clash with Watford at Wembley as the South Korea forward returns from the Asian Cup, currently going on in the UAE. Palace went ahead through Connor Wickham before a penalty by Andros Townsend doubled the lead against his old club and Spurs then spurned a chance to get back into the match when England defender Kieran Trippier missed a penalty before halftime. Pochettino said the season had been “tough”. “Now the realistic targets are trying to be in the top four, to try and be close to Manchester City and Liverpool and reduce the gap. Another is to try to beat Dortmund and be in the next round.